CONCORD, N.C. (June 14, 2018) – The flavor dates back to the late 17th century, but PreGel America has found a revolutionary way to reinvent the long-beloved flavor of fruit punch nearly four centuries later. 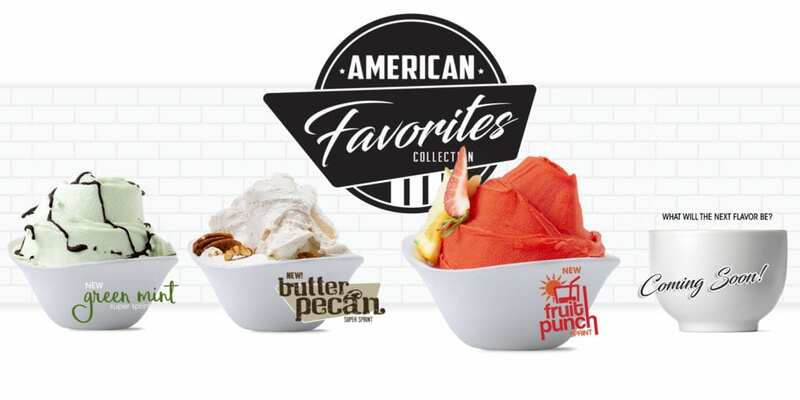 As the latest instant powdered base with flavoring featured in PreGel’s growing line of Sprints, new Fruit Punch Sprint joins Green Mint Sprint and Butter Pecan Sprint in the company’s American Favorites Collection. Fruit Punch Sprint lends the flavor of the world’s most popular party drink toward the creation of refreshing soft serve frozen desserts and sorbetto. Recipe innovation can be found on PreGel’s recipe database at www.pregelrecipes.com. Contact PreGel for more information, or sample and order requests. Established in 2002, PreGel America is a B2B developer, manufacturer, and distributor of authentic, high quality, shelf-stable, semi-finished dessert ingredients and supplies. With main headquarters in Reggio Emilia, Italy, the company’s diverse product lines fulfill the supply needs for artisans of Gelato, Sorbetto & Ice Cream, Soft Serve Ice Cream, Pastry & Confections, and Specialty Beverages. Additionally, PreGel hosts five International Training Centers within major U.S. cities including Charlotte, NC; Los Angeles, CA; Ft. Lauderdale, FL; Chicago, IL; and Dallas, TX as well as three distribution facilities in the East, West, and Central regions. The company services all segments of the foodservice and noncommercial foodservice industries, as well as U.S. distributors.